Piracci's Landscaping, Inc. has been serving the landscaping needs of Coopersburg, PA clients for more than 24 years now. As a seasoned landscaping company, we can always create the kind of landscape that our clients demand. Every client is assured of outstanding work regardless of the size and scope of the outdoor improvement project. Property owners are also assured of a hassle-free project since we can handle all aspects of landscaping - from design and conceptualization to installation and maintenance. We offer these services at client-friendly rates to serve all types of clients, particularly those with limited budget. We never shortchange our clients even if they have a small budget for the landscaping project. 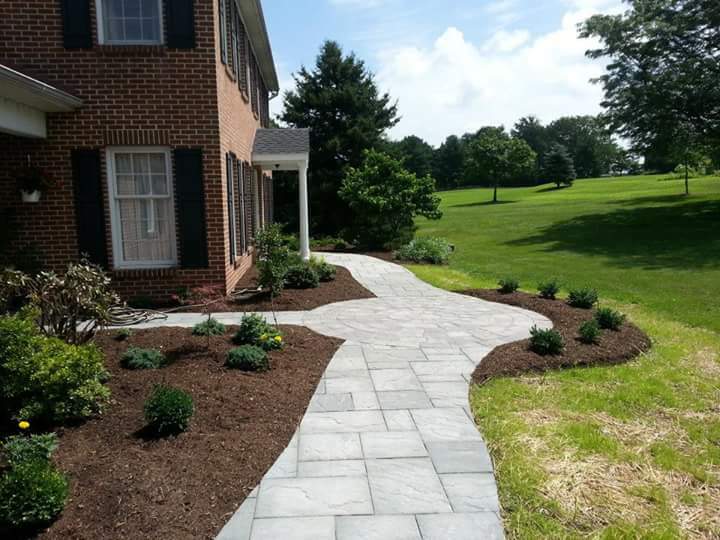 If you are still looking for a reliable landscaping company in the Coopersburg, PA area, please call Piracci's Landscaping, Inc. at 215-541-9202. Our custom designed landscapes are guaranteed one-of-a-kind and low-maintenance. We employ seasoned landscapers so we can easily realize your dream landscape setting even if you have a limited budget. Aside from our highly skilled manpower, we also have a complete inventory of landscaping tools and equipment. These vital resources help us complete large projects on time and even ahead of schedules. We have done this many times for residential and commercial clients in various Pennsylvania areas. Properties with professionally designed and installed landscapes will not only look great but also become more functional, safer, and more favorable for outdoor activities. The outdoors can even be transformed into a beautiful naturescape with the help of expert landscapers from Piracci's Landscaping, Inc. Our people know how to create custom landscape setups that will best suit our client’s needs and preferences. Our comprehensive landscaping services is another reason why most residential and commercial clients from Coopersburg, PA hire our services. As a licensed contractor, we can design, install, and maintain all kinds of landscapes. Achieving a healthy garden or installing various landscape elements in your backyard is not a guarantee that your landscape will be the next best spot in your neighborhood. You need professional help to achieve your desired landscape setup. Professionals like us will carefully create a master plan that will showcase the beauty of your landscaped property. We also suggest themed landscape designs to make your outdoor space stunningly beautiful. At Piracci's Landscaping, Inc., we have creative designers with decades of experience in landscape design. Don’t worry if you are a business owner since we can also create one for your commercial property. We use modern design tools and apply the latest trends in the landscaping industry. The installation of various landscape elements must be done by professionals like us at Piracci's Landscaping, Inc. It is important to install each landscape element in its proper location. Any deviation from the design plan must be carefully thought out to ensure balance and harmony in the landscaped area. Our company employs plant experts and certified installers so your landscape's softscapes, hardscapes, outdoor living spaces, and water features are installed with utmost care. We also use appropriate tools and equipment when installing these landscape features. We are indeed the perfect choice for all kinds of landscape installation projects in Coopersburg, PA. Call us today.